Chinese New Year is just around the corner and to celebrate Baby Milo and AAPE are releasing a bevy of limited edition items to celebrate. For the drop, BAPE’s lovable Baby Milo (35mm) mascot has been suited up in a red Lion Dance costume, which can be seen in traditional dance performaces during CNY believed to bring good luck and fortune. The sidekick is then featured in a set of five plush Daruma dolls, seeing one large and four small, crafted with a magnets at the bottom allowing them to be easily stacked on top of each other. Included in the set is a wooden display tray. The Baby Milo Lion Dance doll retails for $999 HKD (approximately $127 USD) while the Daruma set is $499 HKD (approximately $64 USD). 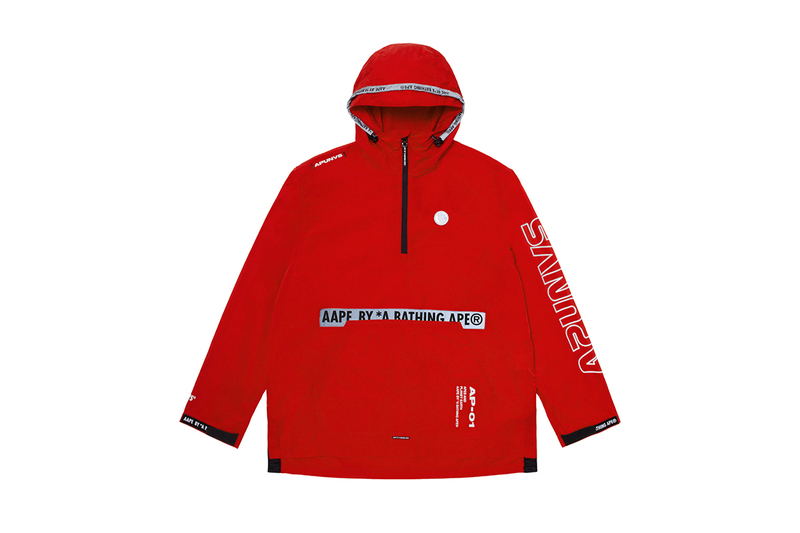 On the other-hand, the A Bathing Ape diffusion line AAPE has put together a red color-heavy range of apparel consisting of a pullover jacket, hoodie, crewneck, tees and boxer briefs. Accessories such as a waist pouch and red lucky envelopes help to round out this collection. Look for all the items at select Baby Milo and AAPE stores now. And for more CNY items, BAPE released a limited edition Chinese Tea Pot set.